Ever since I was seven, people have always asked me for computer advice. In the last few years, it’s been all about the Mac inward now due for an update. Skype-free; and now it lets you do audio, video and remote control the other person’s computer. Evernote-basic version is free and that is fine for most people. Lets you create rich notes on your desktop and also access them with your iPhone application. Splash ID-$20 for desktop application that syncs with my phone; and $10 for the iPhone application from the AppStore. Mojo-free; lets you access your own or friends iTunes libraries for media download and streaming across the Internet. OmniFocus- about $100 for the combination of desktop and iPhone application. Just about the best task/to do organize you can get which follows the GTD system. Omni graffle- about 80 bucks for the basic version. It is a Mac user’s Visio for all things graphical shape drawing oriented. Dropbox — free for a 2 GB account; pay plans for more storage. Great for syncing your files to the cloud and across computers. Useful even if you have just one computer. It provides a backup in the cloud for your most critical files. I recommend setting it up so that your own documents folder is synced to the cloud via dropbox. It’ll have to be good with symbolic links to set this up in a clean way. Friends and family: contact me to help walk you through this. SugarSync – $25 for 10 GB a year; bigger plans available. Very much like dropbox, this is what I started out with and it doesn’t require a custom dropbox folder; it will sync arbitrary existing folders. If you use one it don’t need the other. More to come in future updates and a broken arm heals! For hardware, I’d skip a desk cradle, unless you want it powered on and propped up for constant display (not sure if it even has that mode). I use a tiny travel USB sync ‘n charge (around $30). For memory, I got a 1GB SD card a while back. Handy for doing data transfers on the fly, storing photos etc. Some apps are still picky and want to go in main memory. There’s a car charger I have that also doubles as a wall charger. The USB cord detaches to connect to either the wall piece or the car piece. SplashID from SplashData. A must have for 256-bit blowfish encrypted storage of all things private on both the home pc/mac and synced with your Treo. See my previous blog entry for more info. I posted earlier about Splash ID – a product I was going to test out to secure my sensitive data on the desktop and sync it with my smartphone so it was available to me on the go, also in an encrypted, password protected manner. Well, I’ve tried Splash ID and I loved it so much I bought the $30 US utility. I get a desktop application that lets me enter in sensitive data, using categories (e.g. “Personal”, “Business”) into types (e.g. “Credit Card”, “Bank Account”, “Web Login”, etc.). In both cases, you can define your own types and categories. Each type is a template of the kind of information you store in that type. For example, “Credit Card” types have a field call “card number”, “expiry date” and so on. You get to customize these too. Additionally, you can set fields to be “masked”. This means that even though you type in a password on your handheld to access this information, the sensitive info shows up as little circles until and unless you toggle the “mask/unmask” button. This protects you from eyes peering over your shoulder. The amount of usability and thought that went into this tool is impressive. By entering everything in on your desktop, you get to easily sync it with your handheld or smartphone. It’s great to use on the desktop too, especially if you do a lot of Internet commerce. Even if you just need to store passwords for work, home, the bank and more traditional items like these, Splash ID is a great place to put it all. I highly, highly recommend it. 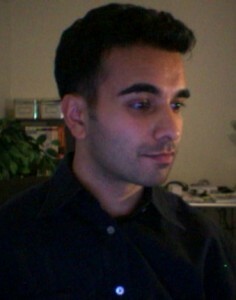 I'm Sohail, a developer-consultant and entrepreneur primarily focused on building high quality iOS apps. I write about technology, especially Apple related development topics and news. Sometimes I dabble into health, fitness or social commentary. See the About page for more bio. All opinions expressed are strictly those of Sohail A., and do not necessarily reflect those of guests, partners, sponsors, customers or affiliates.